The unique serpent boheme diamond gold necklace from Boucheron is finely crafted in 18kt yellow gold. It's diamond shaped serpent head is pave set with seven of the finest Boucheron round brilliant cut diamonds and features a delicate beaded edge. The oval, three dimensional body is slightly concave and textured. 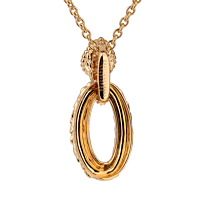 Together they are joined by a solid oval component and attached to round link chain with a classic closed clasp. 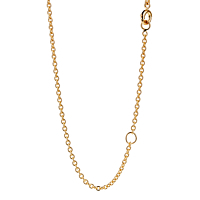 The chain features an added link allowing you to wear it at various lengths.